Not to be confused with its Williamsburg counterpart, right in City Center, there is a great little local coffee shop called Aromas for that relaxed and java-lovin' couple. Just give the shop a heads-up if this is your scene, and they can advise on when their less busy hours are! Or for you ice cream lovers out there, MaggieMoo's is right around the corner for a sweet treat! Built in the 1850's, Lee Hall Mansion is one of the last remaining antebellum homes on the Virginia Peninsula. 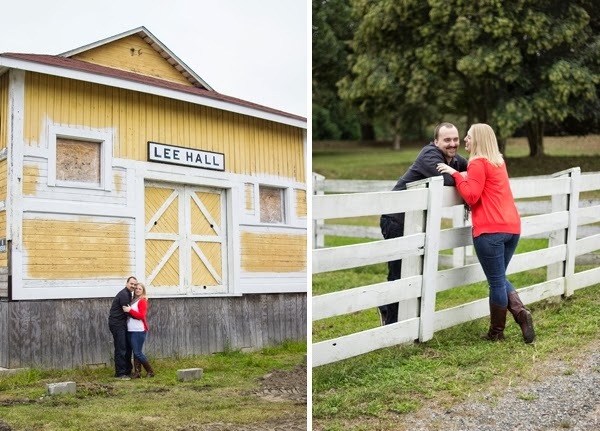 It's a beautiful property run by Newport News Parks and Rec and can even be rented out for weddings, but we love it as a great spot with tons of scenery for engagement sessions. There is a small admission fee, so be sure to call ahead to double check their photography guidelines as they can change at any time. Okay, so the airport isn't the first thing that comes to mind when it comes to engagements. Most of us get visions of TSA and quart-sized bags when we think of a suitcase. But if you're a traveler or have had a long distance relationship, then the Newport News/Williamsburg Airport might hold some special meaning! Even though it's a generally low key, low traffic place, you'll still want to check in with them to make sure everything's good to go when photographing there. Can't envision what it could look like? 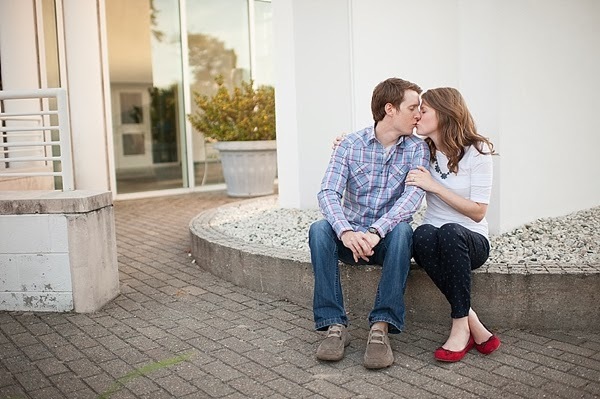 You'll want to head over to our friend Borrowed and Bleu's blog to see this High Flying Airport Engagement at the Newport News/Williamsburg Airport! 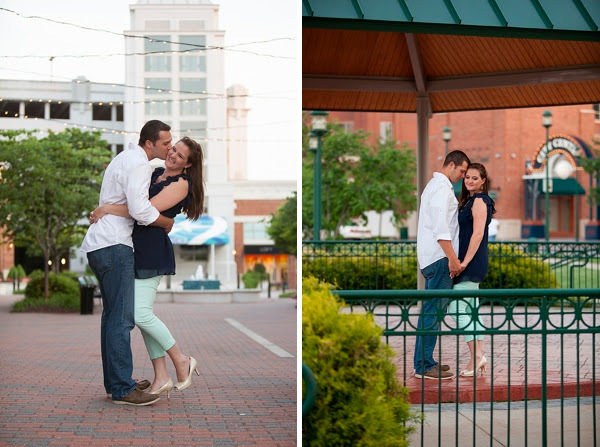 For a more architectural feel, Newport News City Center has the charm of a date night lifestyle engagement session. Wandering around, hand in hand, surrounded by a beautiful large fountain and lots of little shops and other nooks and crannies, it's a wonderful place to explore together with your photographer. 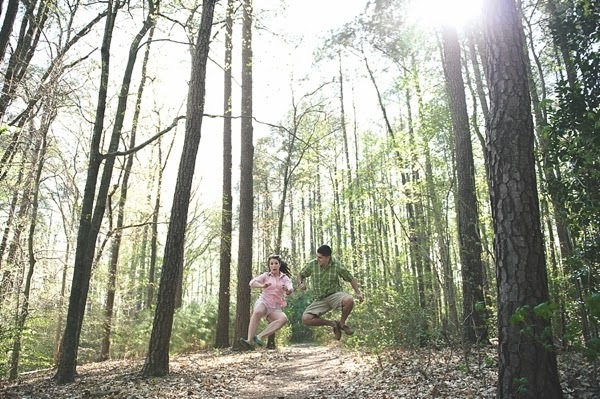 Surrounded by water and land, Noland Trail is one of the best spots for engagements year-round. There are tons of walking trails, bridges, massively colorful trees, benches, and the famed Lion's Bridge. There is no admission fee or a department to contact. Just park in the lot and head off on your adventure! If you're a nature lover, this is definitely your spot in Newport News! 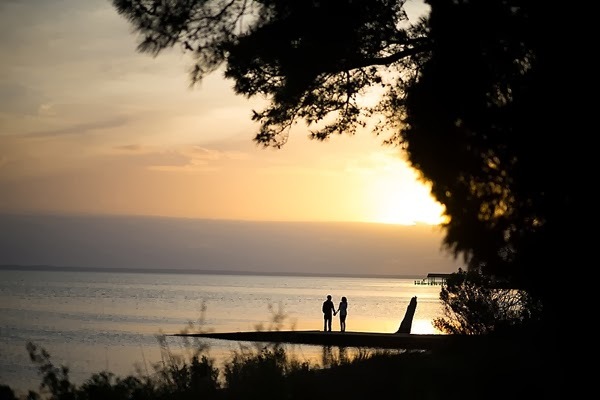 Do you have a favorite spot you like to go to in Newport News for photos? Share below or on Facebook!